The hiring of beautiful vintage china for weddings and other special events. One Black Rose – The Coasts newest premier vintage, recycled & handmade boutique. 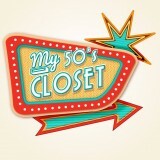 Exclusively sourced “True-Vintage” clothing and “Unique” pieces handmade from recycled fabrics. For the home – ethically produced handmade home wares and Hand-poured natural soy candles double scented with essential oils. Get inspired and find your Black Rose. Orient House is Australia’s leading source for antique Chinese furniture, African and Asian tribal art and decorative pieces. 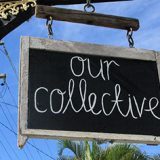 “Our Collective”- Tweed Heads | Is a collaboration of a families individual passions. With a unique collection of Retro, Vintage, and Antiques for sale. 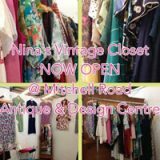 100% vintage fashion from the ages of style 1970s, 1960s and 1950s and beyond, clothing, accessories, lingerie and nightwear, homewares, coats, evening wear and shoes.